Picture a child playing. Do you imagine a toy room, a train set on the floor and a ball pit? For children, play isn’t just limited to toys. Play is a big part of everything they do, whether it’s making, building, acting, singing or exploring in nature. Play allows children to make sense of the real world, experiment and test their limits. It helps them build a sense of self and others, and the space to process their thoughts and emotions without being rushed. 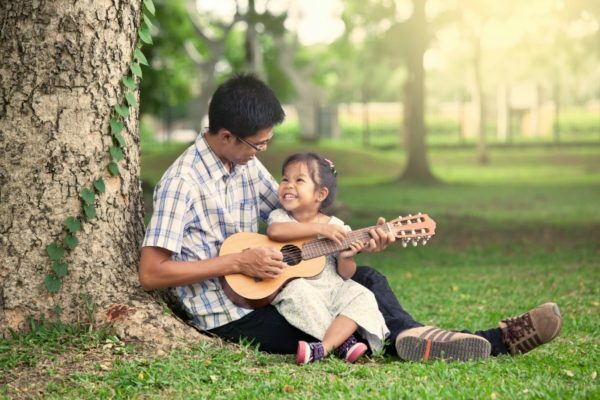 Playtime is also a great opportunity for parents to connect with their child and build a close relationship. The way mothers and fathers play changes depending on the child and the parent involved. Both mum’s and dad’s unique styles are wonderful ways to foster a fun, loving and caring relationship with your young one. And of course, every parent is different, and the styles of play mentioned here aren’t limited just to dads. 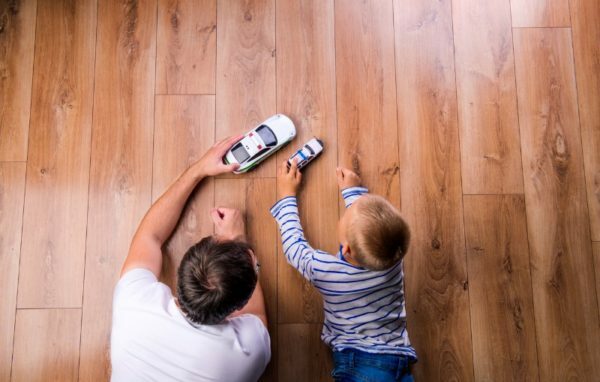 But these unconventional styles of play often come naturally to dads – and they look very different to the traditional play in the toy room. This is likely the first thing that comes to mind when you imagine a father playing with their kid… it often involves rough and tumble play of some sort, and despite stereotypes, girls (before the age of 11 or so) often enjoy this as much as their brothers. Why it’s important: While it may all just look like silliness, rough play is important for development, as it helps children explore their bodies’ physical limits, test their changing positions in space and improve balance and coordination. Why it’s important: Storytelling through nursery rhymes and songs helps children develop language, understand characters and predict the sequence of events and patterns. When Dad changes the words, he’s showing the child how to think outside the box in a creative way. If you need a partner in crime to play mud pies with, have a water fight or play paintball, Dad is your man. And it doesn’t have to stop when your child grows up. I’ve seen adult father-son and father-daughter teams doing obstacle course mud runs together and having a ball. And not to stereotype – but Dad often isn’t as phased about the mess as Mum. He knows you can just clean it up later. Why it’s important: Messy play encourages fine motor skills and concentration, problem-solving and is a wonderful sensory experience. Just remember what it felt like to step barefoot into the squelchy mud as a kid! Whether it’s building a cubby house, a toy ship or a billy cart, dads are wonderful facilitators of practical, hands-on play. If you’re a dad who likes building, having a small bench with kid-sized tools next to your workbench in the garage is a great way to involve the kids in what you’re doing. And if building on a small scale is more your style, don’t discount the building block empires you and your child can create together! Why it’s important: Hands-on play promotes spatial awareness, fine motor skills, problem-solving, analysis, planning, creativity and hand-eye coordination. Phew, that’s a long list! My dad used to tell me he went to ‘Dad school’ to learn all his terrible Dad jokes. You know the ones, like a child asking “What’s on TV?” and Dad replying “A pot plant and a book.” Or “Two men walk into a bar. The third one ducks.” The best dad jokes should be measured by the volume of groans and eye rolling from the audience! Why it’s important: Mostly these jokes are just fun, but in them, a father is demonstrating how to be self-deprecating and have the ability to see the lighter side of life once in a while. Learning about puns teaches us all kinds of things about the complexity of language too. Whether it’s team sports, riding, running or exploring in nature, fathers tend to place a lot of value on moving the body and developing physical strength and agility. Both boys and girls need this kind of regular exercise, whether they are planning on becoming an elite athlete or just enjoy a kick around in the park. 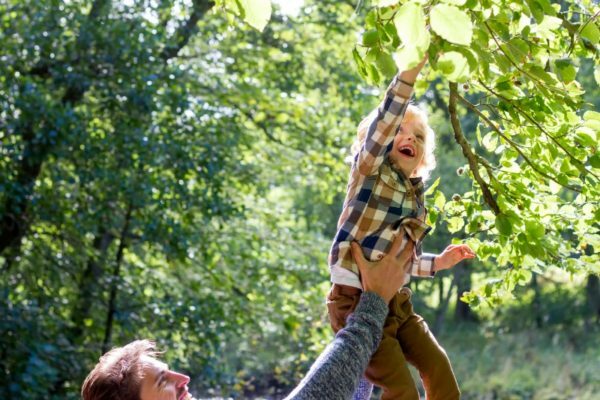 Why it’s important: By getting outside to move their bodies with their kids, fathers are setting a good example that will last well beyond childhood: exercise is good for mental and emotional health, bone and muscle strength, immune systems, maintaining a healthy weight and so much more!